On 10.08.2015 started construction works on the first of two buildings on the boulevard. Bulgaria. Investor and contractor of the buildings IDEA BUILDINGS, and the designer is Studio Creative. 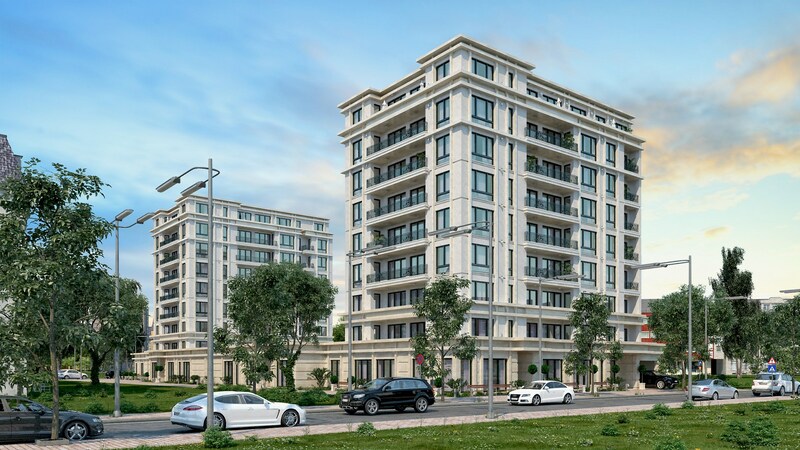 The project Bulgaria blvd., Consists of two luxury classic buildings, which are situated near Bulgaria blvd. To the hospital. St. Sofia and St. prof. Velizar Velkov and St. Ralevitsa and at the same time far enough away to give maximum comfort to residential living. The plot has a trapezoidal shape and area of 3080.00 square in graphic data. The same is flat. In terms of functionality the buildings are designed for residential buildings with offices, shops, garages and underground garages. The levels are utilized as follows: In the basement / elevation ˗ 3.45 / is a common parking lot with 28 parking spaces, all is provided adjacent area for maneuvering and ramp also has 39 basements, serving the needs of the apartments. Vertical Communications elevator and staircase and ramp service levels from ± 0.00 to ˗ 3.45. On the ground floor / elevation ± 0.00 / Pass are serving aboveground and underground parking, entrance to the hall to the living area, space for security, ten office, a store five double garage and a staircase with an elevator. From the first to the seventh floor are two bedroom, three bedroom apartments and studios one and a staircase with an elevator. On the eighth floor are located a penthouse with output at an elevation of 26.25, which is k.boks, bathroom and terrace, two bedroom apartments, one bedroom apartment and a studio, and a staircase with an elevator.